In 2016, the Sea Turtle Conservancy, Cubamar, and ProTortugas Peninsula de Guanacabibes began a sea turtle satellite tracking research project to study the migration patterns of green sea turtles (Chelonia mydas) nesting in Guanahacabibes Natural Park, Cuba. The study will reveal important information about the turtle’s migratory behavior, which will help both conservationists and natural resource managers to improve protection efforts for this endangered species. The satellite transmitter attached to each green sea turtle’s shell sends signals to orbiting satellites each time the turtles surface to breath. The data will be collected and downloaded to STC researchers. Educational migration maps will show the best location points of the turtle’s movements and locations. This will allow interested persons all over the world to watch along as researchers discover where the sea turtles travel after nesting. Through STC’s online educational program, the public is invited to watch along on the Internet as we learn more about these amazing animals. For more information on sea turtles, check out the Sea Turtle Information section of our website. BETSY – Betsy is an adult green turtle released with a satellite transmitter from Guanahacabibes Natural Park, Cuba on July 4, 2018. She measured 102.0 cm in curved carapace (shell) length, 91.0 cm in curved carapace width, and deposited 112 eggs into her nest. Betsy was sponsored by Shark Reef Aquarium. LIBERTY – Liberty is an adult loggerhead sea turtle released with a satellite transmitter from Guanahacabibes Natural Park, Cuba on July 4, 2018. She measured 100.0 cm in curved carapace (shell) length and 92.0 cm in curved carapace width. While Guanahacabibes is predominately a green turtle nesting beach, loggerheads and hawksbills do occasionally nest as well. 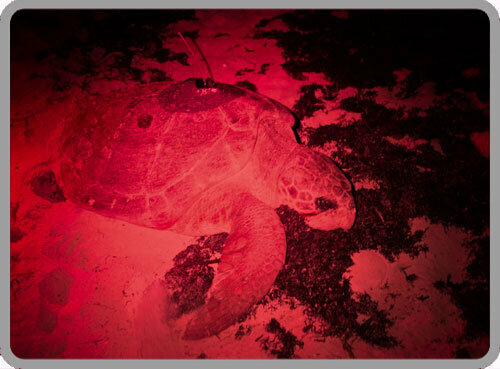 Liberty is the first adult loggerhead satellite tracked from Cuba. She is sponsored by The Turtle Hospital in Marathon, Florida Keys. ONDA – Onda (Spanish for wave) is an adult green sea turtle released with a satellite transmitter from Guanahacabibes Natural Park, Cuba on July 3, 2017. She measured 96.0 cm in curved carapace (shell) length and 80.0 cm in curved carapace width. During the satellite attachment process, it was discovered that Onda had a large fishing hook in her front right flipper. With the assistance of staff from The Turtle Hospital in Marathon, Florida Keys, STC staff were able to safely remove the hook. Onda took part in the 2017 Tour de Turtles and was named by her sponsor, the Sea Life Trust. TINA – Tina is an adult green sea turtle released with a satellite transmitter from Guanahacabibes Natural Park, Cuba on July 4, 2017. She measured 102.0 cm in curved carapace (shell) length and 90.0 cm in curved carapace width. Tina has returned to nest three more times at Guanahacabibes this summer since having the satellite transmitter attached. Tina took part in the 2017 Tour de Turtles and was named by her sponsor, The Turtle Hospital in Marathon, Florida Keys. JULIA – Julia is an adult green sea turtle released with a satellite transmitter from Guanahacabibes Natural Park, Cuba on June 29, 2016. She measured 103.0 cm in curved carapace (shell) length and 93.0 cm in curved carapace width, and laid 92 eggs. Julia is taking part in the 2016 Tour de Turtles and was named by her sponsor, The Turtle Hospital in Marathon, Florida Keys. ESPERANZA – Esperanza is an adult green sea turtle released with a satellite transmitter from Guanahacabibes Natural Park, Cuba on June 29, 2016. She measured 107.0 cm in curved carapace (shell) length and 93.0 cm in curved carapace width, and laid 152 eggs. Esperanza is taking part in the 2016 Tour de Turtles and was named by her sponsor, the Sea Life Trust.